For many years David Smith has operated a Traidcraft Stall, promoting fairly-traded goods, both for the congregation of St Michael’s and at many Ecumenical Parish events as, for example, at the St Peter’s annual Fete, shown in the photograph alongside. 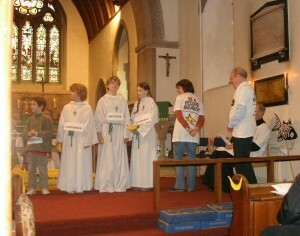 To promote Fair Trade during Fairtrade Fortnight and as opportunities arise. 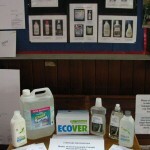 In past years we have used the fortnight to concentrate on the purchase of fairly-traded goods. Although very important this is only one part of the way to tackle the problem of ‘Making Poverty History’. For farmers in developing countries – especially small, ecologically and economically fragile island states – climate change has become a harsh reality. Changing weather patterns have had a catastrophic effect on normal crop cycles and many people, particularly from the poorer parts of the world, are already suffering greatly from the effects of climate change. It is important, therefore, that we do everything we can to reverse this trend. We in the rich world should consume less – live more simply that others may simply live. What we buy and use should be procured in ways which are fair, ethical and green and, wherever possible, we should use environmentally friendly products. 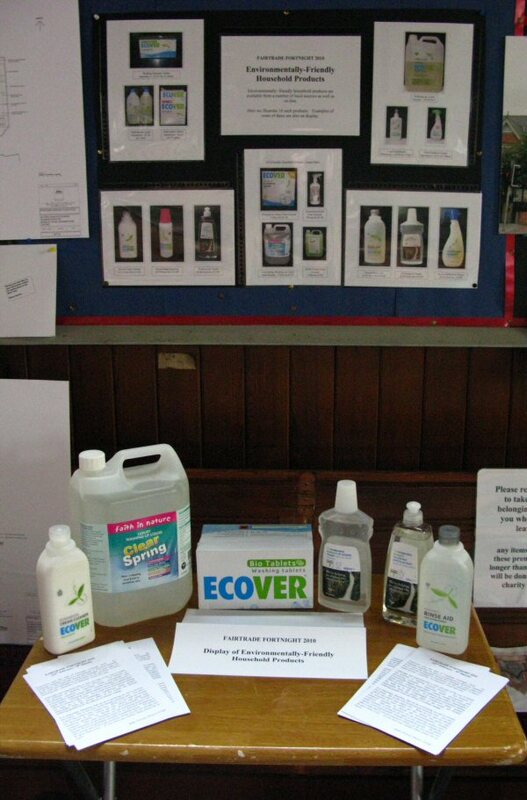 This year, therefore, we produced posters and a small selection of products for display in each of our churches, see the illustration alongside, seeking to show the wide variety of environmentally friendly household goods available and encouraging their use. During this fortnight members of the Make Poverty History Group made presentations during the main Sunday Service of each of our 4 churches. The presentation featured the Go Bananas Campaign, a national campaign to encourage people to buy fairly-traded goods and, in particular, to commit themselves to eating a fairly-traded banana on a date at the end of the fortnight. The presentation emphasised the very significant increase in the return received by the banana grower (‘the Worker’ on the left of the photograph) when his bananas were fairly traded. A group of members from St Peter’s church continue to operate a Fairtrade Stall on the first Sunday of the month at the Farmers’ Market in Wolvercote Primary School. 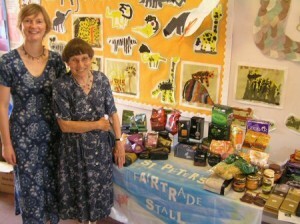 The photograph shows Hilary and Margaret beside the stall. 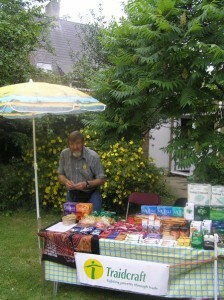 The market is becoming increasingly popular and the Fairtrade Stall is much appreciated – lately as a source of Palestinian Olive oil during the recent crisis. Log in | 37 queries. 2.140 seconds.